Our October auction contained the usual mix of better single items or sets offered individually, alongside collections and ranges, with the latter proving particularly popular. Postal History collections always sell very well in our auctions, and lot 172 was no exception. 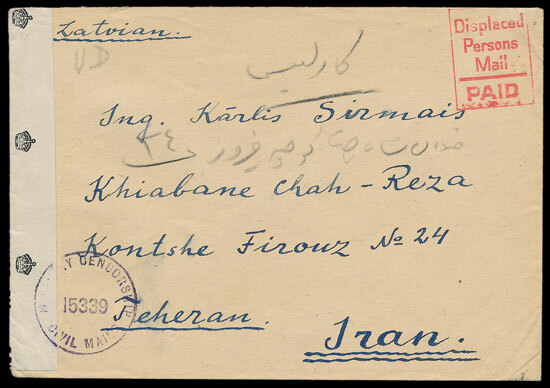 It comprised a fascinating collection of worldwide military mail in 35 files. Keen bidding took it way past our conservative estimate of £1000, and it was eventually knocked down for £4950. Classic rarities, in fine condition, are always keenly sought after. 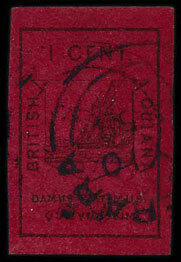 The 1852 issue of British Guiana is normally found with rubbing and other defects. An unusually fine used example of the 1c with large even margins realised £1400. Romania is normally regarded as an “unpopular” country with UK collectors, but, as always, if you have exceptional material, it will sell well. An outstanding collection of earlier issues realised £5300 (estimate £3000), and a superb early-modern collection in 19 albums fetched £4200 (estimate £1000). 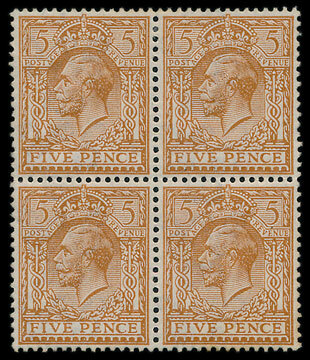 Great Britain included a range of 1912-24 M/UM blocks of 4 with watermark varieties, the highlight being a rare 5d watermark inverted block (one stamp with small gum stain) that realised £1900. Be sure not to miss our November sale, one of the finest we have held in recent years, with particular strength in British Commonwealth. Our December auction includes a superb collection of Great Britain with many better items, in outstanding condition, offered separately.